@QBOchat Welcome everyone to #QBOchat. Please introduce yourselves to the group – Name, location & name of biz. 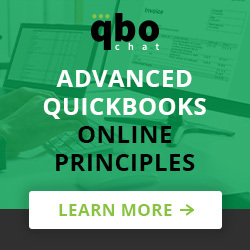 @QBOchat We invite all types of @QuickBooks users – #smallbiz, accountants, developers, and more to join our #QBOchat. @CathyIconis Cathy here behind the @QBOchat handle. Looking forward to a great #QBOchat today!! @alisonatintuit @QBOchat @lsbarber Hi everyone! I’m here. #qbochat . @QBOchat Keep the introductions coming. 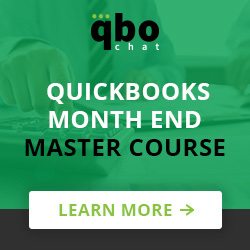 #QBOchat – Also share if you are a #smallbiz owner, accountant or developer/app. @jazfun “@DanethaDoe: @jtumacder @jazfun @lsbarber How are you? #QBOchat” good to see you sweetie! Got my fix of @DanethaDoe flowers too! @jazfun “@Todd4QBO: @CathyIconis I’m here today. #QBOchat”welcome todd! @jazfun “@AustinNexus: Hey #qbochat-ters. Brian Austin, Channel Relations @avalara”good to see you Brian! @expensify @Todd4QBO @alisonatintuit @CathyIconis … #QBOchat party? @jazfun “@MrScottClark: A2. I will admit there have been times when I didn’t want to listen to member of my team #QBOchat” that’s a hard one! @IntuitAccts Leadership advice from #QBOChat & @lsbarber: Trust your gut. You don’t have to do everything. Be authentic. Don’t forget to have fun! @alisonatintuit @MrScottClark @knowify Can you share some change management tips with this #qbochat audience Scott? @alisonatintuit @lsbarber @CathyIconis I love how transparent @Intuit leadership is with us EE’s. It allows us to move quickly, as one. #qbochat. @QBOchat Just a few minutes left for this week’s #QBOchat. What is your favorite take away? @expensify @QBOchat Taking in all the view points of the great leader in this #QBOchat. Thursday afternoons are best spent with all of you! @MrScottClark ALL OF THE TWEETS! RT @QBOchat Just a few minutes left for this week’s #QBOchat. What is your favorite take away?